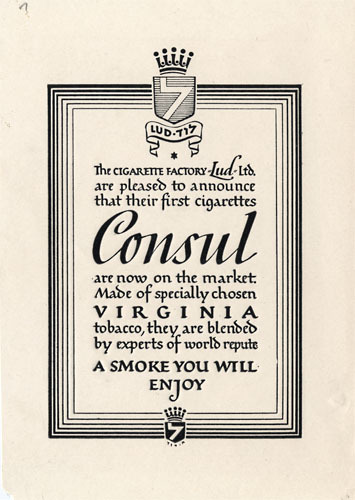 Photostat of an advertisement for Consul cigarettes. Hebrew language version. 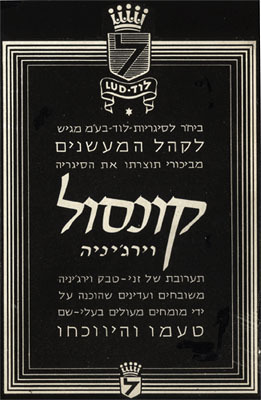 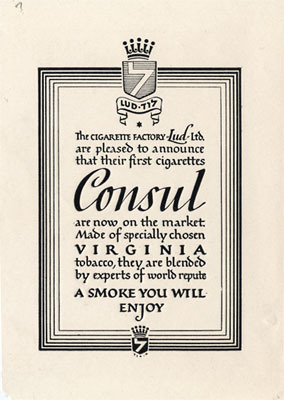 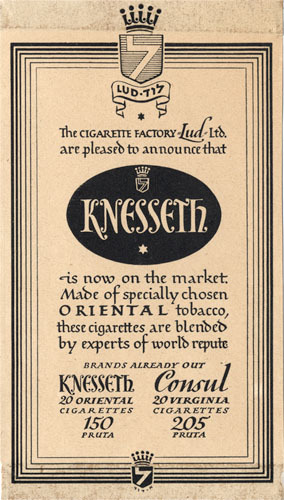 Letterpress print of an advertisement for Consul cigarettes. 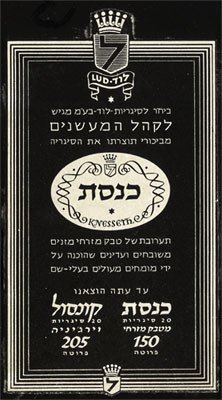 English language version. 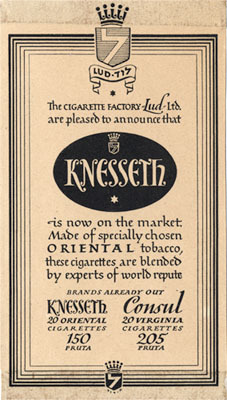 Photostat of Knesset cigarette ad. Hebrew version.